Professor, Lead Faculty Supervisor (Veterinary Concerns). Veterinary Science IV Dental Lab. Veterinarian for Bel-Rea’s resident animals. Aurora Animal Shelter Vaccine Clinic. 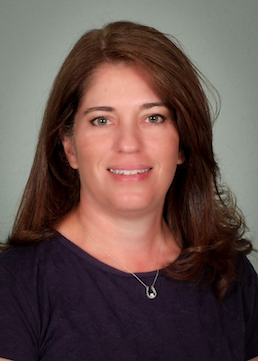 Dr. Sharyn Esposito is a 1996 graduate of Colorado State University’s College of Veterinary Medicine and Biomedical Science. She first came to Bel-Rea as a student in 1987 and then went on to receive a Bachelor of Science in Animal Technology at the University of Denver before attending Veterinary School. Before graduation, she completed an externship at Kaytee Avian Research Center. She has been published in Popular Pets Magazine and formerly served on the board for Cavy Care Inc., a local guinea pig rescue. During her 20 years of experience, Dr. Esposito has worked in several small animal hospitals and at present sees her clients at Smoky Hill Veterinary Clinic in Aurora. Professor since 2012. Popular Pets magazine – Guinea Pig Nutrition. Horses hoof, natural hoof care and barefoot trimming. Competes in local Open All Breed Horse Shows in English and Western Riding and Gymkhana and has won several overall championships in her age group over the past 3 years. Family shows chicken and ducks at the county fair including the Silver Appleyard duck which is considered a “threatened” breed by the American Poultry Association. Recently took an online class on How to Read Ancient Egyption Hieroglyphs. Training for her first 5K.